The FCC's campaign for making the internet more secure just made alot of momentum last week, when a group of major ISPs signed on to a new code of conduct aimed at mitigating cybercrime. Adopted by the FCC's Communications, Security, Reliability and Interoperability Council (CSRIC), the new code targets three main security threats: botnets, DNS attacks and internet route hijacking. The Anti-Bot Code of Conduct invites ISPs to adopt sharper detection methods, and to notify and assist consumers whenever their computers are infected. The DNS code, meanwhile, offers a list of best practices by which ISPs can tighten security. Though it doesn't call for a full adoption of DNSSEC technology, the guidelines do represent a "first step" toward implementation, allowing web users to verify the authenticity of their online destinations. As for internet route attacks, the CSRIC calls for a similarly collective approach, asking ISPs to collaborate on new technologies within an industry-wide framework. 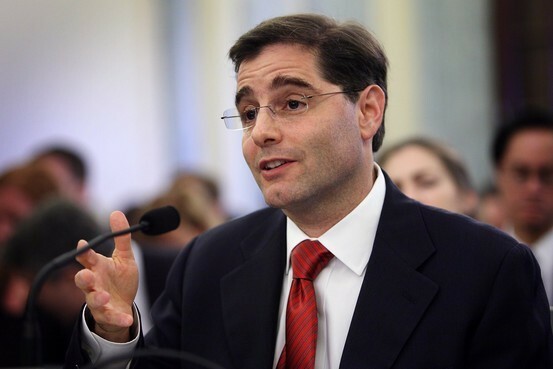 In a statement, FCC chairman Julius Genachowski said that these practices "identify smart, practical, voluntary solutions that will materially improve the cyber security of commercial networks and bolster the broader endeavors of our federal partners." The industry apparently agrees, as heavyweights like AT&T, CenturyLink, Comcast, Cox, Sprint, Time Warner Cable, T-Mobile and Verizon have already signed on. For the FCC's full statement, check out the source link below. And lastly, what is your thoughts on this?